Student Leadership Group Launches WE Are Not Alone - SchoolFinder.com! A group of student leaders at Canadore College are tackling mental health awareness on campus and within community. 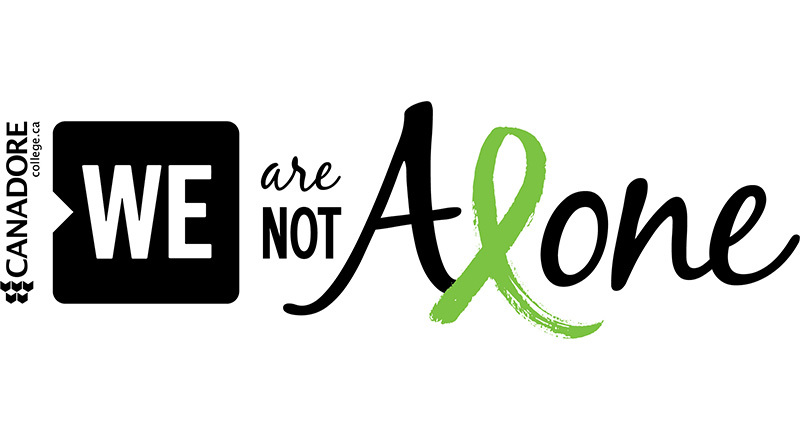 Fifteen students from Canadore’s WE student leadership program formed the WE Are Not Alone group with the goal of raising awareness about all types of mental health as well as decreasing associated stigmas. Student-led information booths encouraging open dialogue about mental wellness and a myriad of activities will be took place at all North Bay campuses. Men had the chance to get free hair and beard trimming as an example of self-care that leads to overall improved well-being. Tables highlighting important information about eating disorders, talk therapy and engaging in social activities were also be on display. That evening, a documentary filmed and edited by post production student and WE student leader, Conor Nesbitt, made its premiere. WE Are Not Alone is a compilation of stories from brave individuals from across Ontario.The stories shared within range from individuals dealing with personal mental illness, people who have lost loved ones to their battles with mental illness, and people who help others with mental illness. Nesbitt hopes that the film will help the public in different ways, including shedding light on those struggling in darkness and by sharing a message of love. Nesbitt’s documentary is also being considered for screening atME to WE’s global learning centre later this year. This is the second year of the WE student leadership program. This year’s contingent is made up of 22 regular student leaders and five senior student leaders with the goal of addressing social justice issues of their choosing. The leadership program brings together students from different cultures and backgrounds, and empowers them to become better citizens. The leadership program entails eight days of intensive program delivery facilitated by ME to WE employees and translates into student action plans to be carried out on campus and in community.